Gilbert Gouverneur (1970) is the Business Development Director and co-founder of Ecopower International. He is responsible for the business development, technical and economical development, financial modeling of renewable energy projects, as well as asset management. Mr. Gouverneur was born and currently resides on Curacao the Dutch Caribbean. Mr. Gouverneur has 10 years of experience in the field of new business development and renewable energy with a specialization in Seawater air-conditioning, Wind and Solar thermal project development (incl. technical/economical analyses and financial engineering). He furthermore has experience in long energy planning for islands and energy/water efficiency management for buildings. Mr. Gouverneur was responsible for initiating the activities of Econcern in the Caribbean and Latin America by setting up a co-operation with Aqualectra the Utility of Curacao and among others initiating the development for Econcern of the Seawater Air-conditioning and the wind-diesel Ecopower Bonaire projects. During this time he has been active in among others the development of projects in Aruba, Bolivia, Bonaire, Brazil, Colombia, Costa Rica, Curacao, the Dominican Republic and Peru. 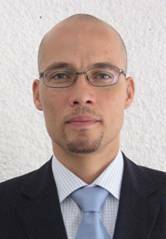 He has been Business Development Director Caribbean and Latin America, for Evelop Netherlands, part of the Dutch originated Econcern, from 2005 until June 2009. As Business Development Director he was responsible for identification, initiation and development of projects and business opportunities in the region. This included set-up of project Joint Ventures; Financial engineering and modeling; Commercial strategy/pricing; Project planning and budgeting; Environmental impact analyses and Permitting; Stakeholder management; Procurement, cost analyses; Contracting/ negotiations: Power Purchase agreements, engineering, EPC and O&M; Local contact/contract management etc. etc. He was the initiator of the wind-diesel concept in 2005 within the organization with the initiative for the Ecopower Bonaire project. As local project development manager working in close harmony with the different project teams he has been involved is in the realization of the Ecopower Bonaire project from the long term energy study until the realization. The wind diesel power generation project consisting of 10.8MW wind and 15MW diesels, on Bonaire has a total investment of approx. 63 MUSD. 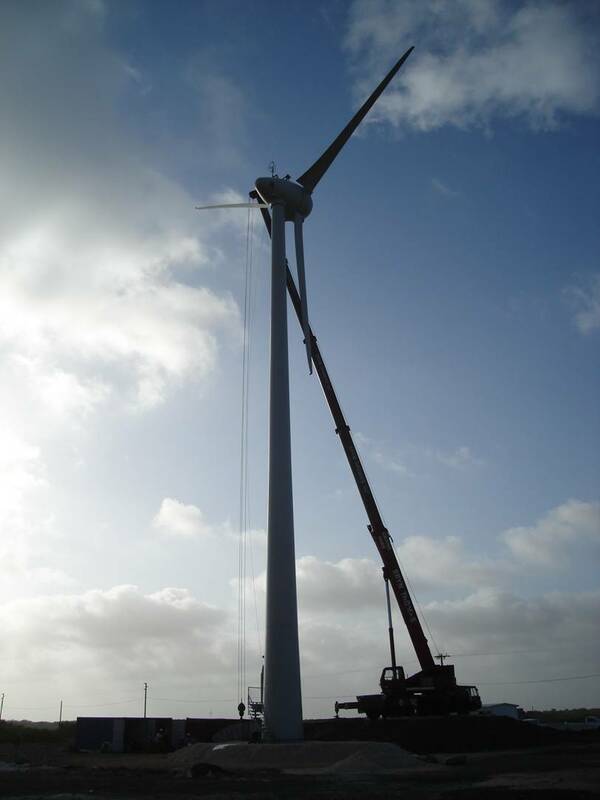 The Ecopower Bonaire system will be the largest of its kind (high penetration of wind in a weak grid, producing ca. 50% of the energy with the wind turbines) in the world and will be in operation as of December 2009. In 1999 he was also the initiator of the Seawater air-condition technology/concept within the Econcern organization, starting a multidisciplinary team to research and develop the technology and the project development. This was first started in 2003-2005 within the Seacon International joint venture, where he was the Technical Director, responsible for the technical and commercial development. 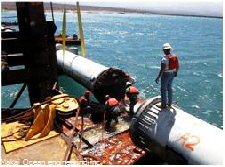 In 2005 Seacon was integrated in Evelop where the project was further developed. The Seawater air-conditioning project Curacao approx. 10MWth, with an investment of approx. 25M USD, has reached the procurement final contracting phase. Due to the financial crisis and unfortunate effects Econcern the project was canceled. From 2003 until 2005 he was Manager Caribbean and Latin America for Ecofys the Netherlands part of the Dutch originated Econcern. From 1999 until 2003 he was a project manager and consultant for Ecofys. Initially he worked in the field of Solar Energy (thermal and photovoltaic) projects for domestic and commercial building projects and on energy saving projects for commercial buildings and Hotels. Since 2000 he worked as initiator and responsible for the development of the international market towards the Caribbean and Latin America. First step was the joint venture between Aqualectra Multi Utility and Ecofys for the development of energy projects for the Caribbean and Latin America. From May 1998- until April 1999 he worked as a trainee for Ecofys (TOOLconsult), Cogas Almelo (NL) en SETAR Tarija Bolivia on (Joint Implementation) JI-projects, which consisted of the redesign of the medium voltage electricity distribution grid, of Tarija, Bolivia (reducing transmission losses and improving reliability), feasibility analyses and formulating resulting implementation strategy. Mr. Gouverneur , has a Masters in Industrial Engineering & Management at the Faculty of Technology & Management, University of Twente, the Netherlands (May 1999), with a Bachelor in Mechanical Engineering (1994). He is fluent in English, Spanish, Dutch (mother tongue) and Papiamentu (mother tongue).